The National MS Society’s recent 2016 Leadership Conference in Denver, Colorado provided an inspiring platform to rally leaders from throughout the organization around its largest and most comprehensive fundraising campaign to date, Breakthrough MS. During the conference, the Society affirmed its position and responsibility as the leader in driving life-changing progress and solutions for people affected by multiple sclerosis. The Breakthrough MS Campaign aims to raise $1 billion dollars over five years to accelerate breakthroughs that will change the world for people with MS. Building on the progress made through past campaigns, Breakthrough MS will fuel all aspects of the Society’s vital work to advocate for change, deliver comprehensive services, facilitate critical connections, and drive cutting-edge research to ensure people with MS have what they need to live their best lives and a world free of MS is achieved. Throughout the conference, attendees were inspired by the many and varied breakthroughs that people affected by MS have experienced due to recent progress, and the breakthroughs they hope to realize in the future. Breakthroughs like the one Mary from Kansas, who lives with advanced MS, experienced after she connected with the Society’s MS Navigators. When her husband and primary caregiver had a heart attack, Mary was forced to move from Kansas to Missouri to live with her elderly parents. It quickly became clear that they were ill-equipped to provide the care Mary needed to live her best life. An in-home assessment was conducted quickly and a plan developed. Mary received the right equipment and regular, in home care she needed to live safely and comfortably with her parents while her husband recovered. Another story featured at the conference was that of David Kelleher from Oregon and his family, which revealed how MS and its unpredictability poses challenges as he and his wife Kysa raise their six young children and plan for the future. “We have this thing that follows us around and we don’t know when and if it’s going to rear its head, and now, it seems it’s starting to rear its head,” said Kysa. Although significant progress has been made recently to understand and stop MS progression, the Kelleher family urgently awaits a breakthrough that will put an end to their uncertainty and ensure a bright future for their family. Along their journey they are now, more than ever, relying on the Society to provide the support, connections and information they need to overcome barriers and realize breakthroughs for living their best lives today. The inspiring stories of Mary, the Kelleher family and others delivered throughout the conference reflect the complex challenges that people with MS face on a daily basis. Their stories, and the stories of everyone affected by MS, illustrate so clearly why the bold, comprehensive response of Breakthrough MS is crucial for the Society to continue changing lives. One billion dollars. It is a big number, and it certainly raises the bar for what we can do to change the world for people affected by MS. It will take all of us, focused on this common goal, to accelerate progress in every area of the Society’s mission. We must accelerate research progress so that people have the treatment that works best for them, and the information to make the most informed decisions regarding diet, exercise, and more. We must accelerate progress in providing services, like MS Navigator, so people have a professional and expert partner in removing barriers in the way of living their best lives. Programs like Everyday Matters need to be provided in multiple formats and delivery systems so that people can find solutions and increase their resiliency. We must accelerate progress in advocacy, changing and upholding legislation to create a better world. All of this and more is essential to facilitate life-changing breakthroughs for all people affected by MS.
For the first time in the Society’s history, we have a platform that provides an inspiring rallying point for every single person in the MS movement. Breakthrough MS will connect all of our passion, expertise, dollars and resources to deliver on our promise to people with MS.
It’s very exciting to share that many leaders have already stepped up to the plate and demonstrated their commitment to accelerating breakthroughs. Leaders like Ed Dowd who recently contributed $3 million to establish the Edward M. Dowd Personal Advocate Program, expanding the Society’s ability to deliver personalized case management services for those facing significant challenges. As you consider the role you will play in Breakthrough MS, I hope it includes giving your best possible gift today. This year the National MS Society developed its first nationwide wellness program – Everyday Matters. “This program, based on positive psychology principles, has proven to have life-changing impact and we are eager to make it available to everyone affected by MS, no matter where they live,” says Society President and CEO, Cyndi Zagieboylo. The Society believes that wellness is a lifelong journey through which people become aware of and make positive choices about their behaviors, lifestyle and activities so they can live their best lives. Through Everyday Matters, participants increase their knowledge of positive psychology principles and receive support to develop personalized, concrete plans for implementing these principles and for achieving greater life satisfaction. While other branches of psychology tend to focus on abnormal behavior, positive psychology is centered on helping people thrive and become happier. The Society originally piloted Everyday Matters as a five-week, in-person program in 17 locations with over 250 participants. Upon completion of the program, participants reported significant improvements in life satisfaction, confidence with MS symptom management, and improved outlook. Research shows these improvements, which were sustained in a twelve-month follow-up survey, to be strongly correlated with improved mental health and quality of life. Through Everyday Matters, participants learn to take practical steps toward happiness, achieving a life goal – making a breakthrough. People like Sallie, a young grade school teacher, overwhelmed by MS, who said, heartbreakingly, that she felt that she “didn’t have a future.” She didn’t know how to live her best life. Through learning and connecting with others in the Everyday Matters program, Sallie now has a path forward. She’s more confident in her career, happier, less fearful and she has tools to develop a plan to achieve her goals, her best life. With the overwhelmingly positive results of the pilot, the Society strives to make the program available to everyone affected by MS. Through the anticipated support of forward-thinking donors in 2017, the Society plans to host 50 one day, in-person programs in addition to launching an online version. Initial results from the nationwide expansion support the positive impact demonstrated in the pilot: 95% of participants said that the program prepared them to accomplish goals to live their best lives; and 71% reported increased happiness with less fatigue, less pain, and better sleep among many other benefits. When Avi Avidan was diagnosed with multiple sclerosis in July of 2012, he immediately set forth on a relentless quest for information and answers. What was MS? What did this mean for his future? What was the best approach to stopping the disease? 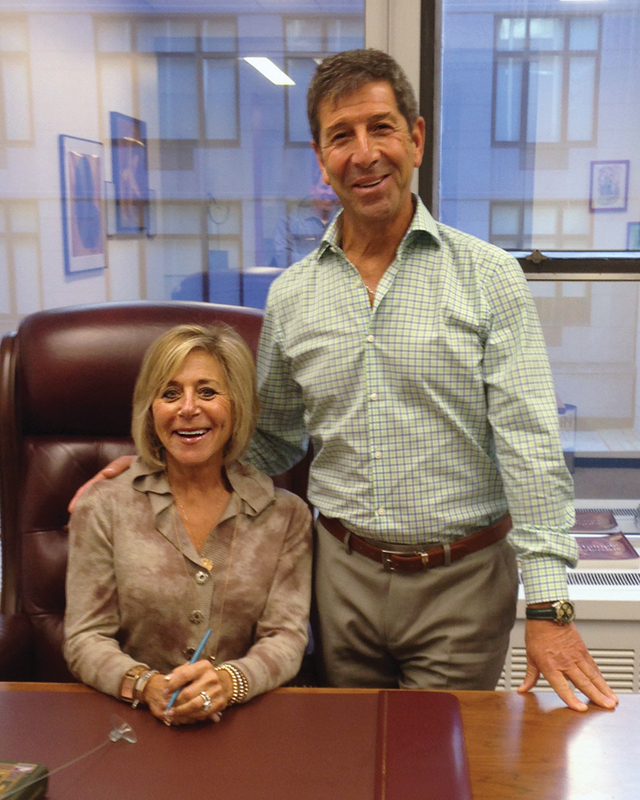 After Avi and his wife Joy were connected to the Society through their friend and leadership volunteer, Tobi Rogowsky, things began to change. The Avidans realized they had found a trusted and supportive partner in the Society; the partner they needed to be more powerful than the challenges of MS.
With the help of the Society, the Avidan’s discovered their opportunity to make an impact – the groundbreaking Collaborative Network Awards announced by the International Progressive MS Alliance in September. While the Avidans continue their own quest for answers, they are now optimistic those answers will come soon. In the meantime, their partnership with the Society has given them the information, resources and connections to live their best lives today. Join a live webcast on February 13th featuring Alliance Collaborative Network Award leader Dr. Francisco Quintana from Harvard University/Brigham and Women’s Hospital. Dr. Quintana will discuss the innovative work his network is conducting to rapidly identify promising treatments for progressive MS. Learn more and sign-up here.